It's dark when you pull up to the only breakfast place in town, but your guide is already there. How do you know? His is the truck with dog boxes in the pick up's bed, and it's towing, a trailer full of, you got it, more dogs. Your guide knows where the birds are, his dogs are sharp as tacks, and he wants the day to be your trip of a lifetime. It's team play from here on out. Here are the things your guide hopes you've done in anticipation of your hunt. Don Brown has spent over 30-years as a wild bird hunting guide, and he's known for his string of excellent Vizlas. Bring your own dog if you wish, but pre-trip training and conditioning is his one request. "I never mind a sport bringing his own dogs to hunt over," Brown said. "That's the magic of bird hunting. However, the one thing I wished hunters would do is to bring a dog or a string of dogs that would handle. Too many of my hunts were spent looking for a client's self-hunters. Sometimes they'd range off, other times they wouldn't listen, and still other times they'd bust birds. I can provide a training session for clients if that is what they want. But if they're booking me for a wild bird hunt, then we all should have the same expectation which is to shoot over pointed flushes." Brown, no relation to Don, is a covey bird specialist. "I start my season in September hunting Hungarian partridge and sharptails on the Saskatchewan Prairie in Canada," he said. "When the weather gets cold I move south to Arizona where I guide for Gambel's, Mearns and Scaled quail. I like my clients to get up close to a dog when it's on point and then to aggressively move past the point until the birds are in the air. Dogs are a threat to the birds so if the hunter doesn't quickly get to the point and flush the covey, then the birds are likely to run off. The covey rise intimidates a lot of shooters, and they get confused by all the action. When the covey is in the air pick one bird and stay with it until it falls. Rushed shots resulting in poor gun mounts are a major reason my clients miss. Practice your gun mount, so it's an instinctive motion. 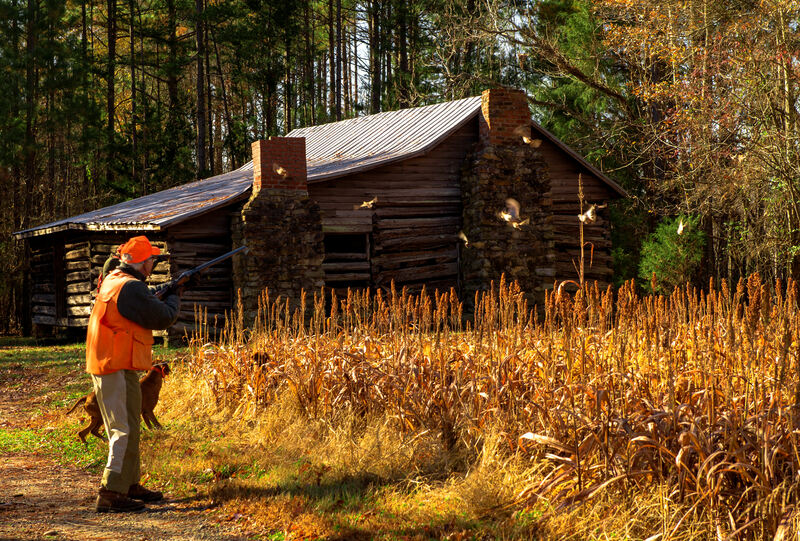 Shoot clays courses or mount your shotgun in your living room. Just be sure that your mount is smooth and solid." Thompson's Eaglerock Setters guides for three different species of birds, pheasant, grouse, and woodcock. He also breeds English setters and is a trainer for just about every other breed. 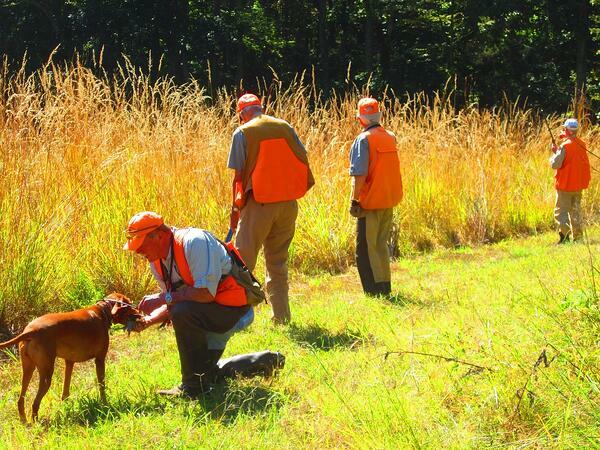 When it comes to a hunt, he wishes his clients would pause for a moment and think. "Bird hunting is much more than just harvesting birds," he said. "I wish all of the clients who hunt with us would take a moment and ponder that they're doing more than just hunting. They're preserving and continuing a tradition and a lifestyle. 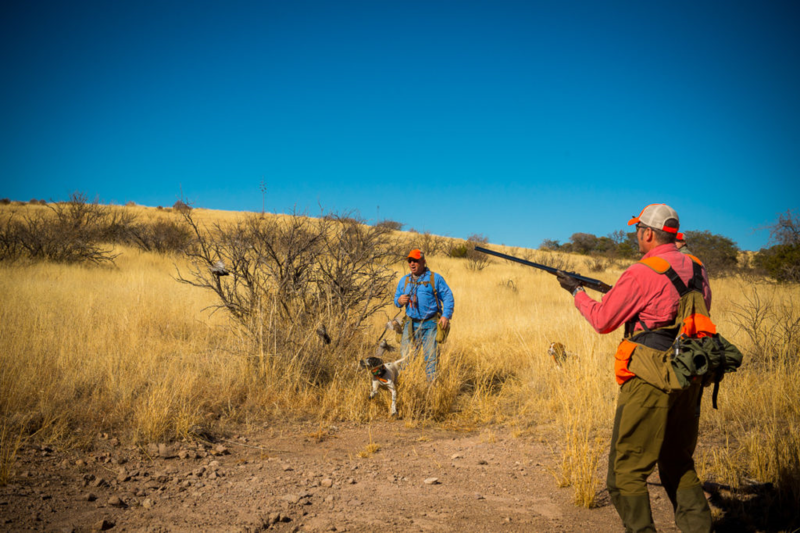 A bird hunt is a holy union between dog and handler and between guide and gunner. Nowhere else can we touch the souls of those who have gone before us as in upland bird hunting over dogs." 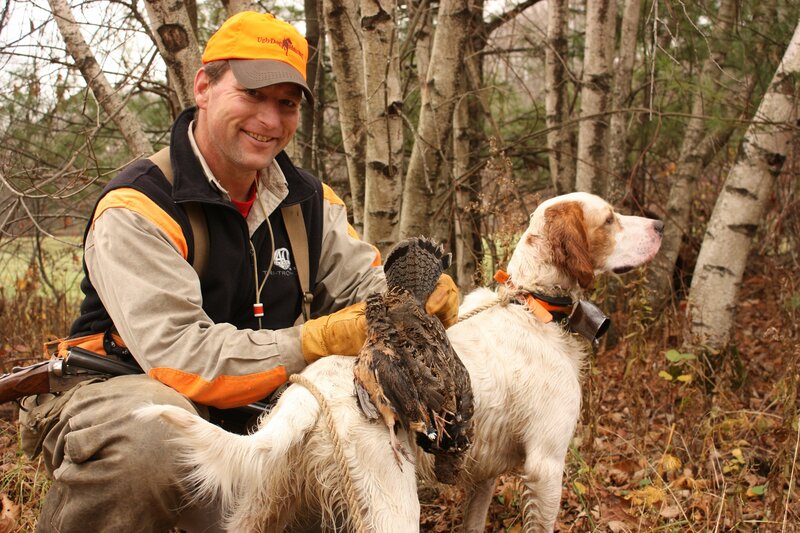 Depending on if it's early, mid or late in the year, Faust guides for grouse and woodcock in Minnesota, Virginia, North Carolina, and Louisiana. Hunting coverts of primary and secondary growth isn't always easy, and his advice is to be prepared for a day in the uplands. "My clients don’t need to be Olympic marathoners, but they'll have a better hunt if they're in decent physical shape. Our coverts are big, but we don't race through them. We hunt slow and thoroughly. Grouse and woodcock live in wild places that are far off the beaten path. Walking can be difficult, so get your break in your new hunting boots long before the season. Add moisture-wicking socks to those comfortable boots and get your legs conditioned. If you're in good shape the rest of the day will be awesome." For the past 25 years, Tracey Lieske has guided hunters for a wide variety of game birds in Idaho, South Dakota, Texas, Tennessee, and Kentucky. He's currently splitting his time between Michigan and Kentucky and has one piece of advice. "Shoot clay targets that simulate the kind of birds shots you'll see on a hunt. Don't worry about practicing batteaus, springing teal, or rabbits. For bird hunting, every shot needs to be ball cap height or higher. Some are going away, some are crossing, and others are incoming. Specialized techniques like a snapshot for Ruffed grouse in thick cover is ineffective on a covey rise of Huns or Bobwhite quail. Work on the kind of shots you'll see on a hunt, and you'll have an outstanding day." 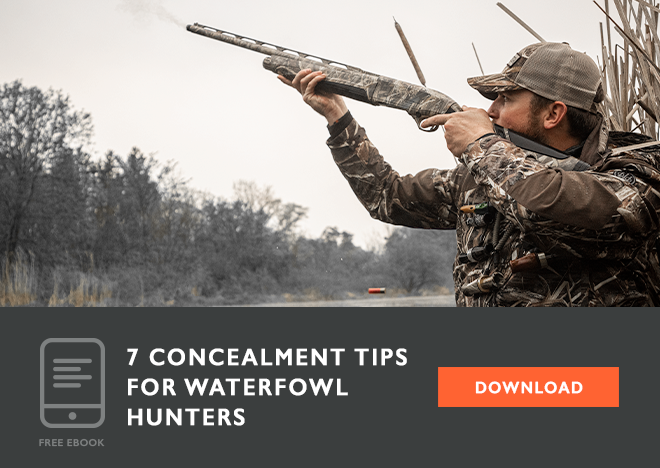 These outstanding guides represent nearly a century and a half of experience that comes from hunting a wide variety of game birds in North America. It's mid-Summer, and fall hunting season will soon be here. Incorporate some of their advice and get ready for the season.